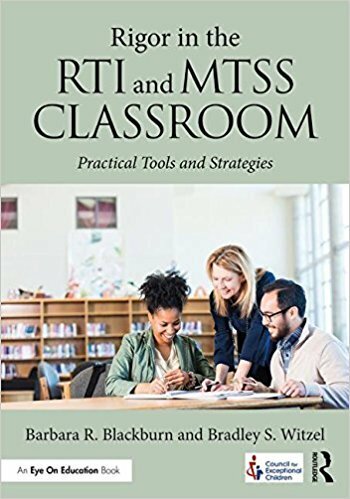 Rigor in the RTI and MTSS Classroom: Practical Tools and Strategies is a must read for classroom teachers and building level administrators. Like the title says, "Practical Tools and Strategies", it is exactly that...Practical. Barbara R. Blackburn with Bradley S. Witzel have written a book that is extremely useful for making sure that students at all levels of understanding and development are receiving rigorous instruction. On today's show, Barbara and I talk about the reasons behind the book and why it was important to create tools for teachers working in the RTI and MTSS environments. She explains what she means by rigor, RTI and MTSS so that readers and listeners are given a common definition. We look at the layout and format of the book as well as the collaboration with Bradley Witzel as well as the collaboration between Routledge and the Council for Exceptional Children. As with all of Barbara's books this one is easy to read and understand. It comes with practical tools for using in the classroom and amazing eresources.So we take a closer look at these. Additionally, we discuss a couple of the chapters and talk about the suggestions and strategies. Great episode for you. Lots to think about. 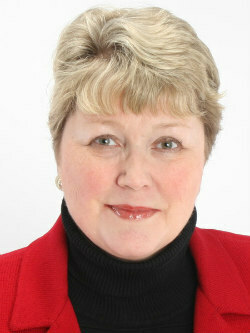 By the way, make sure that you see the links below to connect with Barbara.